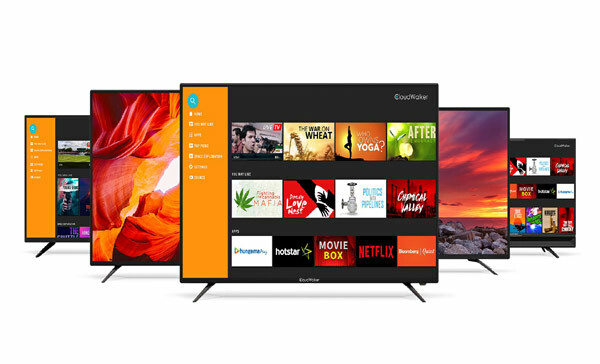 CloudWalker has partnered with Hungama Play for its Cloud TV X2, India’s first-ever 4K Ready Full HD Smart TV on Android 7.0 Nougat, available exclusively on Amazon. As part of the association, the Cloud TV X2 users will not only be able to stream their favourite content on the Smart TV but also receive a 90-days subscription of Hungama Play. Cloud TV X2 is powered by the Made-In-India content discovery and curation engine which facilitates decision making by curating the globally and socially trending content along with popular movies & originals from Hungama Play. With this partnership, CloudWalker continues to strongly march ahead on its vision of providing an exhaustive and complete digital entertainment solution to the Indian customers. The company has been on an aggressive expansion spree, partnering with leading names in the Indian OTT industry, to offer its users millions of hours of good-quality content and an immersive viewing and audio experience. The Cloud TV X2, CloudWalker’s flagship Smart TV, is India’s First 4K-Ready Full HD smart TV on Android 7.0 Nougat. The state-of-the-art smart TV is available in five screen sizes – 32” | 40”| 43” | 50” | 55” – and can be purchased on Amazon.